3,500 sq. /ft. 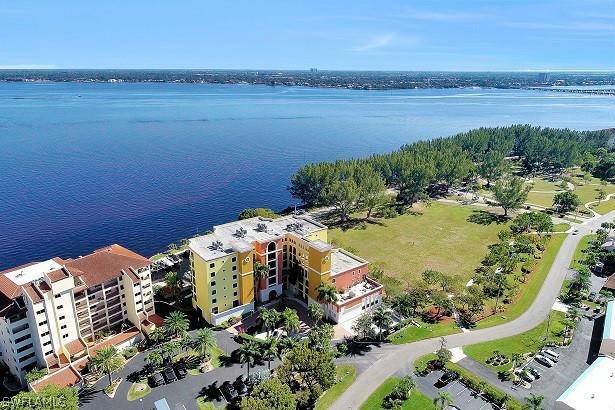 Penthouse unit in cape corals beach parkway neighborhood with deeded boat slip, quick direct river access and under building parking. Luxury condo living and wide canal views from this spacious great room floor plan unit that has 3-bedrooms each with its own en suite bath plus a large den. The wrap around screened lanai is large enough to be enjoyed by the whole family. Elevator access to this 3rd floor unit is convenient to the under-building garage. Beautiful beach parkway has a large riverfront park with jogging trails and is convenient to shopping, dining and the cape coral bridge. This a great value with low fees when compared to similar sized units a tarpon point. Back on market. Buyer got cold feet. Absolutely stunning penthouse. Please see virtual tour. Boat slip with lift available. I have been selling real estate here over 15 years and i believe this is one of the nicest and most impressive views you will get, location is prime, only steps away to jaycee park where you can enjoy peaceful walks or when they have events like the jazz and blues festival. As you pull up to the double gated entrance you know you are some place special. Drive straight into the covered garage area and your spot is right there along with a large private enclosed storage area just for you. Then proceed to the elevator to take you to the top floor. Your door is right there. As you enter your place you will see why you will call this home. There are 3 bedrooms and each bedroom has a bathroom, master bedroom is super large and has its own private elevator. As you enter the master bedroom, once again you have the ultimate views with another gigantic balcony and electric roll down shutters. You also have a massive airconditioned storage room in your place; so storage is not a problem here. Enjoy sitting out at one of the pools of your choice. See virtual tour. A panoramic river view greets you from the moment you walk in the door. This resort style gated community has tropical grounds with 2 heated pools & spa. One is a lap pool. This home features a 3 bed, 3 bath all en-suites allowing plenty of space for guests & family. You can enjoying cooking with upgraded new samsung appliances and granite counters. The over-sized screened lanai offers additional entertaining space with tiled floors, plexi-glass doors & electric hurricane shutters. This luxury condo has tile floors, crown molding, spacious master suite with jacuzzi tub, separate shower, dual vanities and water closet. A new 3 ton 16 seer a/c & hot water heater in 2017,+ private boat slip plus under building parking & storage closet. Paradise pointe is a beautifully maintained complex with the million dollar views. Situated in the highly desired neighborhood of beach parkway, next door to lush acres of the riverfront jaycee park. This is paradise ! Price adjustment and priced to sell!! Riverfront penthouse condo with spectacular views! 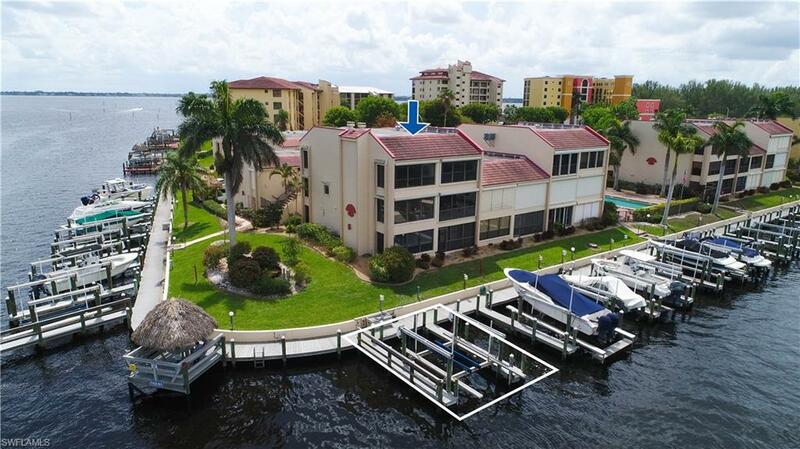 Included with condo: boat slip #32, private 1 car garage, additional under building parking spot and private storage unit at garage level. ! 3 bedroom (1 guest with custom built in desk unit and 2nd guest bedroom with own bathroom) 2 1/2 bath. Spacious master bedroom with huge walk in closet, soak tub, separate shower, double vanities. Custom built ins, freshly painted thru out. Lovely foyer with sitting area. Large lanai with sliders from spacious living and master bedroom. Walk to jaycee park, close to downtown cape, shops, restaurants! This unit is a must see!! Schedule your viewing today! Huge 2 story penthouse style corner condo with fantastic views, 10,000lb boat lift assigned, working 2 story stone fireplace, soaring 25 foot ceilings, marble flooring and new carpet, private garage, formal dining room, wet bar, loft, morning room, fourth bedroom doubles as an office, plus more!!! Direct sailboat access on intersecting canals, 4 minutes to the river! Great location in desirable se location off of beach pkwy in small 12 unit complex, beautifully kept 55+ development! No pets permitted! Must see this one to appreciate. Truly one of a kind!! Sailors cove 3 br/2ba condo. Penthouse corner unit with extra windows. Elevator & secured entry. 2 garage parking spaces & storage closet. 200' direct sailboat gulf access canal just minutes to river and icw. Private boat slip/dock. Beautifully finished in warm tones. Granite and stainless kitchen. High ceilings. 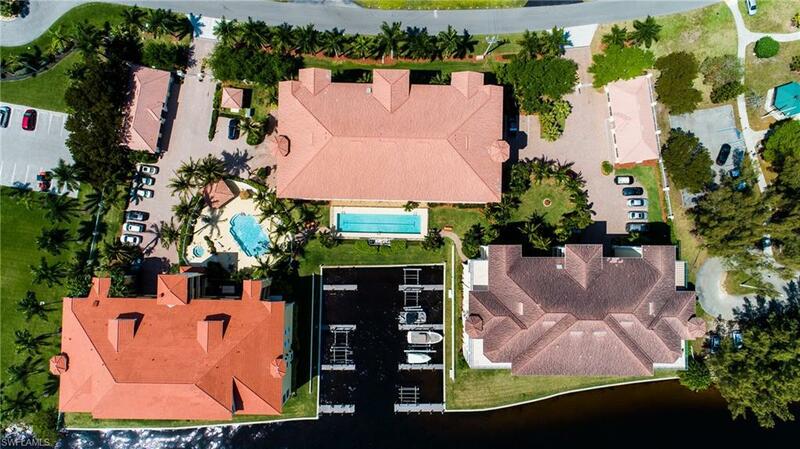 Huge lanai overlooking your boat dock, pool & wide water views. High ceilings. Wet bar off great room. Popular se beach pkwy neighborhood near river park close to numerous restaurants, bars, bistros, shopping and both bridges. Owners' pets allowed - 2 = 80 lbs combined weight. Furnishings negotiable.